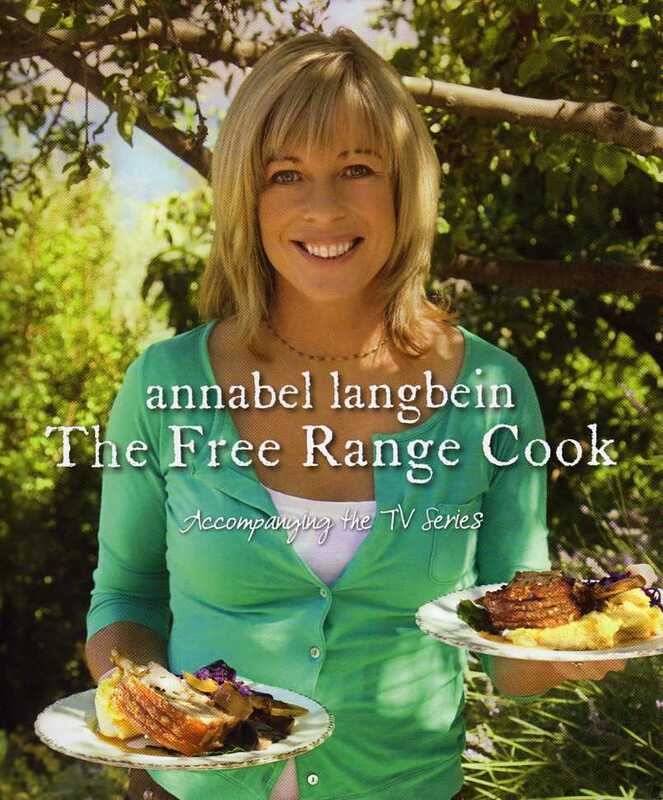 Annabel Langbein is a name new to many of us in the UK but that will likely change with the publication of The Free Range Cook, her latest book, and the airing of a TV series. Annabel is a celebrity cook from New Zealand and she founded the International Culinary Institute of New Zealand. She has presented many television and radio shows and written a shelf of cookbooks. Annabel and her family have a home beside Lake Wanaka in New Zealand’s Southern Alps. She has studied horticulture in New Zealand and attended the Culinary Institute of America, so she is well placed to present a book that revels in food that’s fresh and seasonal. OK, so the seasons might fall at a different time of year in New Zealand, but we all know when spring starts wherever we are, and in the UK that often seems like June. The Free Range Cook is an apt title. The food might not all be free-range but the cook is. 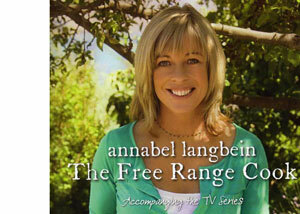 Perhaps Annabel could be described a giving free range to her talents. A free-style cook she definitely is. Nothing fussy or over-fingered amongst these dishes. She has a real sense of how we want to cook and eat – not just those food lovers on the other side of the globe but we in the northern climes as well. There are some classic recipes in The Free Range Cook as well as contemporary and unique dishes that combine to make this a well-rounded and practical volume. No complicated cooking methods, no exotic cooking gadgets, and the ingredient lists are pleasingly short in most cases. Lots of pages with two recipes: that always makes my heart skip a beat of lazy culinary joy. A few ingredients well-chosen, with the prospect of a meal in a timely fashion, has got to be good news for all but a fanatic. Cheese-making can be quick. Admittedly you won’t get strikingly tangy year-old Cheddar… unless you want to wait a year, but Annabel talks us through the easy steps of making delicious soft cheese while you sleep. The creamy preparation can be flavoured with fresh herbs or sweetened with honey and cinnamon for a light taste of the Med. Lemon Curd is a traditional favourite and this book offers the recipe for the curd as well as for mini Lemon Curd Tarts, which are ideal to present as part of a dessert platter. Another item on that grand plate would possibly be a slice of Strawberry Cloud Cake. An ideal dessert for making ahead of time, a frozen airy mousse that will add a dash of Barbie pink to your sweet selection. This would be a stunning summer celebration cake. Cypriot Shepherd’s Pie is my pick of the book. Twenty minutes of preparation then an hour in the oven will result in a very stylish yet comforting mid-week dinner. Do the prep the night before to save time. Garlic, cumin and cinnamon are the spices which elevate this pie to something far above the remembered school-dinner boring norm. Economic and delicious. The Free Range Cook is a sensible and attractive book to cook from. I couldn’t find a single recipe that I would discard. It has a noble natural feel to it but it’s not a preachy over-worthy tome. Annabel Langbein has a passion for good food and she is trying to start an epidemic. It’s a joy of culinary enthusiasm and a whole heap of mouthwatering and moreish food.